Im going to the army but, I would like Missionary Independent Spiritual Church to burn candles for me..
1. I would be going to school then med school. Would protection and crown of success candle help in avoiding any accident and moving up the ranks? Any other advice that will help when im there? 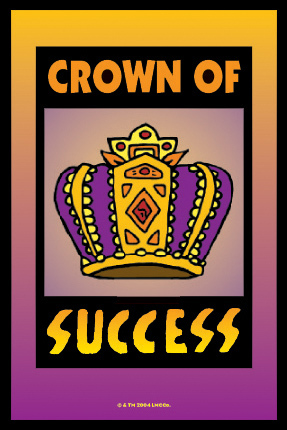 Crown of Success is great for promotions and career success. 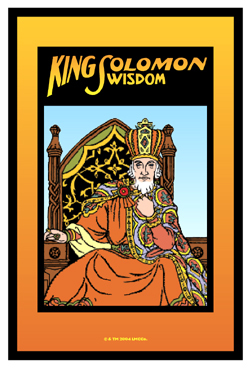 For test-taking, many also like King Solomon Wisdon, because King Solomon is said to have been the wisest man who ever lived. For Protection -- and i do think that everyone in the military needs it -- see the MISC thread on protective candles. You have a few choices there, and you should select the one that resonates best with you spirit. Burned at home while taking tests or examinations at school or work. Well I successfully passed the Professional in Human Resources (PHR) exam yesterday 6/26 and want to thank the Lucky Mojo staff for setting lights for me to be successful on exam day. I actually set out to do a CO$ spell but I have not received the kit yet so as an alternative and in addition to having lights set, I went over to my old high school and gathered up some dirt to wear in my pocket. Amazingly, it worked!! I've had success with LM setting lights for me regarding a "Crown of Success" concern. I even got results before the candle report came. It works! Miss B - you should contact an AIRR worker to have a reading to determine the nature of your situation and develop a plan to remedy it. It will likely start with thorough spiritual cleansings, road opening work, and then some drawing. I have a quick question regarding a Devil's Seven Day Candle that I recently ordered. This is the first time ordering from your sight and I forgot that unless stated other wise you usually load the candles and then ship them out. I know that the candle is used in workings against someone or causing mishief in someones life. On the back of the candle though it states that it has been loaded for luck in gambling, enjoying life, and will aid me in play and mischief that I make. I was originally going to use the candle to work someone that has been causing me a lot of grief lately and he's been causing me and some friends grief also. I wanted to cause him to have some mishief in his life to keep him busy and not focused on us as much. I ordered Devils Powder and Devils Oil to load the candle myself originally. My Devil's Candle was loaded by Lucky Mojo and I was curious on what your intentions were behind the loading of a Devil's Candle. Will I be able to use this candle as originally planned? Thank you for you help and Brightest Blessings! You should call the shop and direct your questions to them. It does seem as though it may have been loaded wrong, as the online description of that candle does say that it should be for causing mischief. If it has actually been loaded for luck and gaming, then it would not be able to be used the way you intended. i had a steady work candle burned for me and it says that it was clumps of herbs left (obstacles) and a sooty haze at the top and wax on the base. currently at home i have a honey jar for crown for success and a road opener candle .i figure the road opener candle can remove the obstacles and the honey jar can help things go a little smoother.i wonder if im approaching this correctly? and for the uncrossing candle it was wax also at the base,slight haze at the top for slight resistance. i was wondering should i get the 13 herb bath plus have a fiery wall of protection kit. or just perform a kit.. I think you need to do the 13 herb bath which actually might help you with your steady work as well. If you have crossed conditions, negativity, or bad luck, it may be affecting your ability to achieve what you want with your steady work candle. So the bath would be great along with the road opener. Definitely both steps will help then I would re do the steady work candle, and hopefully you will get a cleaner burn. You should definitely always be protecting yourself and I would invest in the fiery wall of protection kit, and then after that you could keep up the protection by having a vigil light lit or some other means of protection. But I would definitely do some form of protection, which is always a great idea. If obstacles are still visible, I would recommend getting a reading to see how you can further remove the obstacles. i would definetly take that approach. . currently im working with saint cyprain for this also and i will also get the 13 herb bath. I would definitely do the 13 herb ritual...it is great for cleansing and removing jinxes; consider the 9 herb (increase personal and spiritual power) and 7 herb (draws good luck in love and money matters) baths. Everything you need and more. Besides the 13-herb bath which is a great recommendation try to include more elements of Road Opening to help clear the path. You can surround your honey jar with Road Opening candles to act as helpers and can even set a light at Missionary Independent. If you are familiar and comfortable with Saints, Saint Expedite can remove any obstacles in your path and Saint Peter can be petitioned to open up the roads. I have a steady work honey jar going but also want to get rid any fear and anxiety of looking for a job as well as opening the road and fast results. It's hard to constantly stay positive while working my honey jar. I have uncrossing/road opener/ rue/ hyssop bath crystals. can I use them instead of 13-herb bath? do i mix them? can I have my petitons to few Saints next to my honey jar? thanks conjureman. i was also looking into that . ill work with st expedite. i have my road opener candle near my honey jar. and so far my honey jar candles are burning very fast im being constistant with the work also. Chris wrote: Im going to the army but, I would like Missionary Independent Spiritual Church to burn candles for me.. 1.Would protection and crown of success candle help in avoiding any accident and moving up the ranks help..would be going to school then med school..Any other advice that will help when im there?.. I was reading your website all weekend and today I purchased two candles to be lit for me at MISC, one for Come to Me to get true love to come to me and one for Crown of Success to successfully get the job I was just interviewed for. I just wanted to say that it's very nice how people genuinely try and help you on this website. Because of the feedback and the great reviews, I am positive that the candles will work! I just joined your wonderful community and I had a couple of questions. Any help would be greatly appreciated as I know your community is most helpful! I just ordered 2 Candles to be burned for me at the MISC on 24/04/2011, Come to Me and Crown of Success. I have been reading your website all weekend and have come to the conclusion that it is best to "back up" work done by MISC. I am getting ready to order Come to Me oil and Crown of Success oil as well. I wanted to know if, to back up the work, I can bless and wear both oils on a chain I have as back up work or wear both as perfume? Or would it more effective to go with a honey jar or candle spells for both ? Again, any help would be greatly appreciated! I already got some results today and I strongly believe it's from the Crown of Success candle that was lit for me. The Come to Me candle is to draw true love to me. I have already made orders for my oils and I have bought some incense. My plan was to back up the work with both and ordering the Secret of The Psalms and pray every day for at least 20 minutes for each. I know the MISC candle burning has been said to be effective and I know it will work. I just want to have the best results!!!! I was going to have Missionary Independent Spiritual CHurch have lights set for me. I cannot afford much, not even a reading. One I wanted a damnation candle set against an unknown thief who stole a phone out of my hands when I was going to make a phone call and in a rush. I'm a wiccan/ eclectic pagan but not fluffy when someone has harmed me and im in the right. I also want a steady work candle set for job finding. I think these would be the best candles to have set. I would order a combination but am on a fixed income for now. I would focus on the Steady Work candle ritual wiccanbudgiemom. Since you are on a fixed income, you can certainly consider having a 10 minute reading. Just want to share something with you all. It's not the first time that I had success with a candle set for me but never that quick so thank you Lucky Mojo,MISC,Catherine and all the staff for your dedication and wonderful work. I love (...crown of...) success stories Congratulations to your son and yourself Sephora. Many more castings to him and happiness for you both. Thank you aura...I am very happy for him! Its great to read positive results. Crown of $$¢¢$$ stories always make me happy. I add this oil to most of the normal oils I use on a daily basis. Works great! Thank you for sharing, Sephora! Just got my report today and wondering what should be my next step - I asked for Steady Work Candle to be placed for me to help me find work. In the report I was told that there's a possible resistance to the work, unresolved issues may be hindering me, an obstacle may be in the path of this work. However it seems I might get a job in the future but not exactly what I want. I want to have MISC set a candle for me for a job and and I would like to know which candle setting will be best to use to use. I want to land a full time job position that I will enjoy until retirement which also offers medical benefits and a substantial pay rate. Since you are seeking stability, Steady Work would be best. When should I have the candle done when sending out my resumes or before going on an interview? You can have it set as you send out resumés. Steady work also works well if you set it in runs so that there's one burning throughout your job search / resumé sending and interview period. Here are some links to products that can help you. Steady Work, Saint Joseph, Crown of Success and Boss Fix can all be set through the MISC. Also included are the links for Miss Cat's Book and some other helpful recommendations and links. Miss Catherine Yronwode, Miss Cat's, book available in print. This is a must have and should be in your first order to Lucky Mojo. So last year I ordered an attraction spell placed on the alter at Missionary Independent. The petition was to moved to Bradley Beach, NJ. As I right this I am in Bradley Beach just a block from the ocean and am considering making additional requests to get a better. Great benefits but the work is killing me in body and soul. Still I am here! Thanks Lucky Mojo and M.I. "Sooty haze above front and back label with clearing the rest of the way down the glass - resistance to this working but clearing as the candle burned. 1 piece of stuck herb on the back label - past issue. Ring of wax left in the bottom with confetti clover and dollar sign stuck in it - stuck energies around money luck need to be moved out for this request to manifest." What shall I do know to remove the "stuck energies around money luck need to be moved out for this request to manifest." burning a Road Opener may be helpful: http://www.missionary-independent.org/c ... pener.html as would following that up with a Lady Luck or another Black Cat. John the Conqueror is another alternative for this kind of circumstance. Thank you Lucky Mojo, I was looking for an apartment close to the ocean. Been looking for months because I have a limited budget. I did a Lady of Loreto candle at the Missionary Church vigil. My candle reported that blocks were being removed. I lost the apartment that I really wanted. That same day I found another apartment just two blocks away. Exact floor layout. Actually this apartment is better than the other one. Someone in the forum posted to leave a dressed tiny rock at apt. At home to burn a green candle on top of address written on paper while reading psalms 61. I did a freezer spell to keep other renters away. I put in a prayer request at the Crystal Silence League. Turns out only two people turned in their application in time. And the other person needed to move immediately which didn't work for the tenants in the apartment. The landlord offered me the apartment. More amazing, I'm paying almost $200 less than the average rent in that area. So blessed! I just ordered a candle vigil for the rent money to come in time for my move. Paying the deposit this week. Sure is and you did your work and homework! Greater blessings. I am in a position where I am unemployed and have been for a little bit. I am using this time to try to finally startup my computer/IT related business but being broke with some debt is a really depressing/discouraging position to be in. I was thinking of putting some money on a candle service order, but I wasn't sure which one to go with. I trust LM, but I was hoping for some guidance on what I should go with. I am trying to attract some small business grants for start up costs, but I think some general attraction of sums of money wouldn't hurt given the risks involved with starting up a business and being okay during that risky business startup period while more and more clientele is built up. Which candle service would you guys suggest for this sort of thing? I'm thinking money, attracting clientele and success in stages as it's happening? Money right now is obviously tight, but any suggestions are encouraged and appreciated. which candle burned at the misc is good for good luck. I dont mean good luck in gambling. I mean general good luck. I want a candle that will improve conditions in my life. i dont have anything specific to work on i just want good luck in general. Lucky Mojo does have a Good Luck vigil candle, which covers good luck in several areas. Good Luck candles are for GOOD LUCK! i would like to have three candles set at the MISC with the purpose of getting promoted to a full time position at my job. Im stuck on which three to get. road opener to clear the way to this goal. i don't know if i should switch road opener with crown of success? are my choices good for what i want or do you have any other candle suggestions? I'm thinking: Money Drawing; steady work, prosperity, crown of success, and attraction. spiritualtom wrote: I am in a position where I am unemployed and have been for a little bit. I am using this time to try to finally startup my computer/IT related business but being broke with some debt is a really depressing/discouraging position to be in. I'm thinking Crown Of Success would be better right now (rather than road opener) if you have a choice. Other than that, they all sound fine. abadd1 wrote: i would like to have three candles set at the MISC with the purpose of getting promoted to a full time position at my job. Im stuck on which three to get. Prosperity, Steady Work, and Crown of Success should make for one hell of a powerful week, Abadd1! I have a friend that is going through a rough time and I would like to get some candles set for her, I just don't know which one. I know she is having trouble finding full time work but that's because she has a misdemeanor. She has no problem getting to the interviews, but once she gets to the background checks they don't hire her. Is there a candle that can be set to help her out? What is going on with her background check? I really like this product line. I'm very happy with the candle that MISC set for me. I was thinking about having one of these set on a monthly basis. Is this a good idea? You know what works well for me also? The bath crystals. LOVE them. AlyssaH wrote: I really like this product line. I'm very happy with the candle that MISC set for me. I was thinking about having one of these set on a monthly basis. Is this a good idea? I see you guys got everything moved & condensed! I think this post was originally in the MISC Good Luck Vigil thread, so I want to clarify that my post was about Good Luck spiritual supplies.